Sign up for our quarterly E-newsletter! 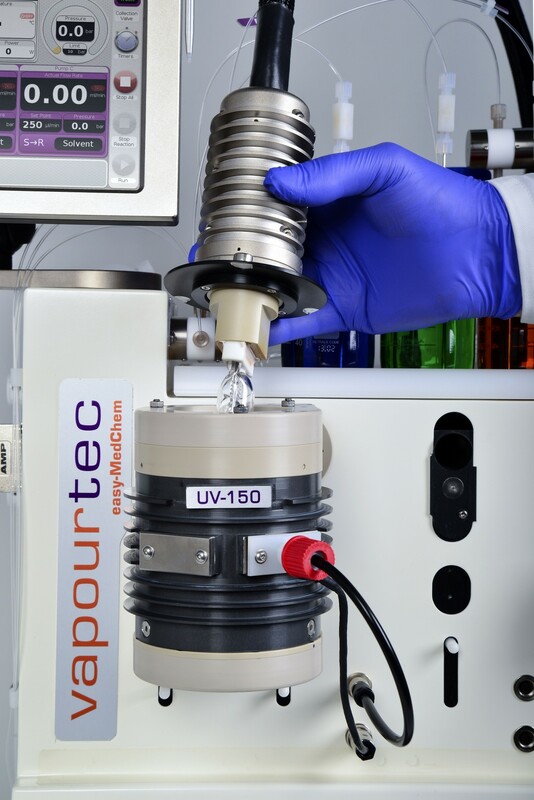 Vapourtec (Suffolk, UK) has developed the UV-150, a pioneering photochemical reactor that will lead to more efficient, precise, consistent, safe and scalable photochemical synthesis offering potential routes for novel compounds and building blocks together with possible new manufacturing processes. Two years in development, the plug and play reactor offers a wide range of features that makes it an industry first. 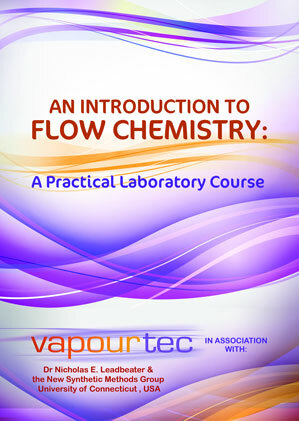 With no intensive set up required, it is unique within the field of flow chemistry and is designed to complement Vapourtec’s existing R-Series and E-Series flow chemistry systems used in hundreds of laboratories around the world. The UV-150 allows for safe access to photo chemistry processes that hasn’t existed before due to the unique design of the 150 Watt lamp, filters and reactors that deliver enhanced power, analytics and temperature control. The reactor, around 10% of the volume of other reactors that offer similar throughput, operates between -5° and 80°C. 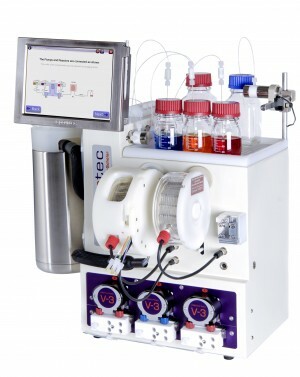 According to Vapourtec Managing Director Duncan Guthrie, the new reactor could have a dramatic impact on the potential of photochemistry within continuous flow processing: “The UV-150 is a truly unique innovation that gives chemists the opportunity to develop ‘reagent less’ and scalable manufacturing of new and existing compounds and is a far more efficient alternative to traditional batch chemistry approaches. “Current green photochemistry processes can be hazardous due to the lack of control and scalability inherent within traditional batch systems. The plug and play nature of the continuous processing UV-150 makes it easy to use with a small dedicated power supply and a patented cooling system delivering additional advantages. There is real physics behind the UV-150 with a compact high intensity 150 watt lamp, temperature control, wavelength filtering and reflective surfaces all designed to ensure that the photons emitted by the lamp are efficiently absorbed by the reagents. Provision has even been made for mounting an optional spectrometer, this feature allows the absorption by the reagents to be monitored in real time which is yet another unique feature. Artemisinin, currently the most effective treatment against malaria, is a perfect example of what can be achieved using photochemistry within a continuous flow synthesis. In late 2011 Professor Dr Seeberger and Dr Levesque of the Max Planck Institute reported on a continuous flow conversion of dihydroartemisinic acid, extracted from sweet wormwood (Artemisia annua), into artemisinin with a continuous photochemical transformation central to the reaction. There is currently nothing as efficient and easy-to-use as this reactor available in the field of flow chemistry and we are convinced that it will play a pivotal role in many chemical and pharmaceutical breakthroughs in the future. Despite still being an under utilised technique, there is growing interest in photochemistry and this is a perfect fit for industry requirements. This is the biggest innovation we have developed so far and there is genuine interest and application within many fields including academic research, pharma, environmental and industrial chemistry,” added Duncan Guthrie of Vapourtec. Vapourtec design and manufacture flow chemistry systems for a wide variety of sectors across the globe including education, pharmaceutical and industry and their technology has been cited as playing a pivotal part in recent major research breakthroughs. Established in 2003, Vapourtec has developed a flourishing international market for its technology with sales across much of the developed world including USA, China, Japan, Singapore and India. For more information on flow chemistry systems and services please use the contact methods below. 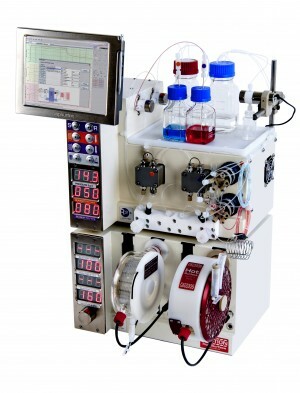 The R-Series is undoubtedly the most versatile, modular flow chemistry system available today. The E-Series is a robust and affordable, entry level flow chemistry system designed for reliability and ease of use. Access the Vapourtec Resource Centre for a wide range of invaluable reports and publications. Teaching the principals and benefits of continuous flow chemistry is now commonplace in University and Industrial settings alike.